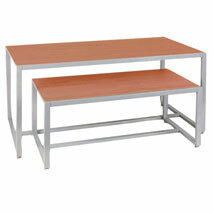 Cherry nesting tables are an elegant backdrop for premium merchandise. Tiered design adds visual appeal and saves you space. 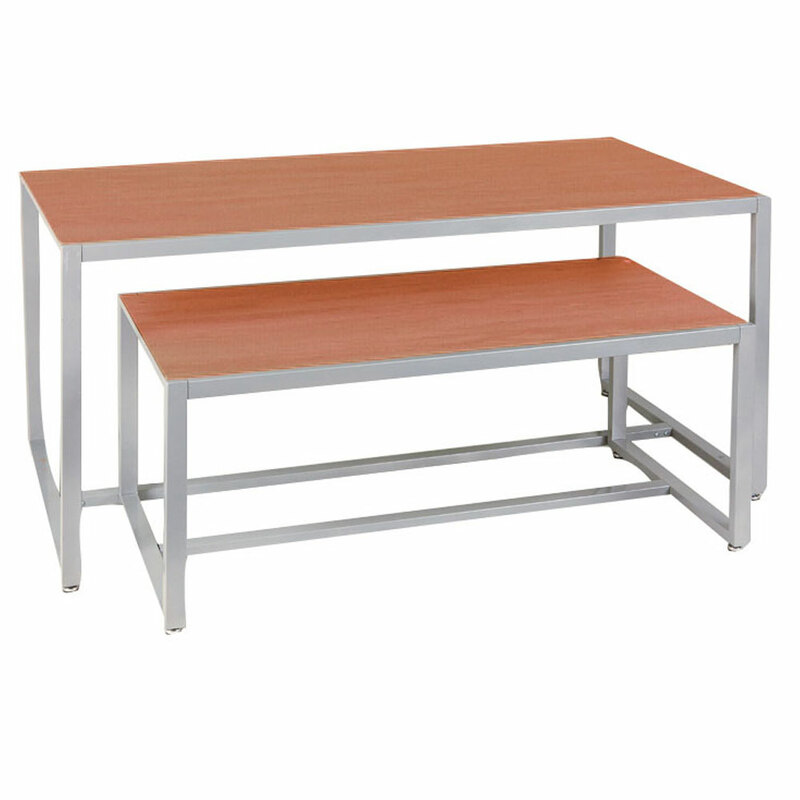 Tables are lightweight, yet sturdy and can easily be moved around your store. Cherry wood is highlighted by a silver matte frame, creating a functional and attractive display area. Some assembly required.